In selected places of particular project activities, we have installed 5 information/education boards that describe the general assumptions of the project and - depending on the place of installation - selected its activities. 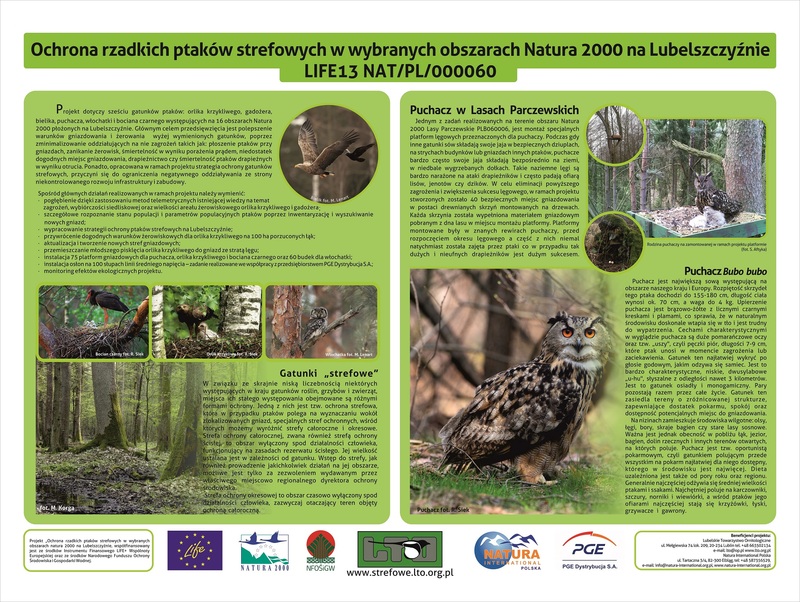 We will soon find educational packages in the form of puzzles along with an information brochure, which is a summary of knowledge about species of zonal birds, presented in class, to schools in which we conducted educational activities as part of the LIFE project. 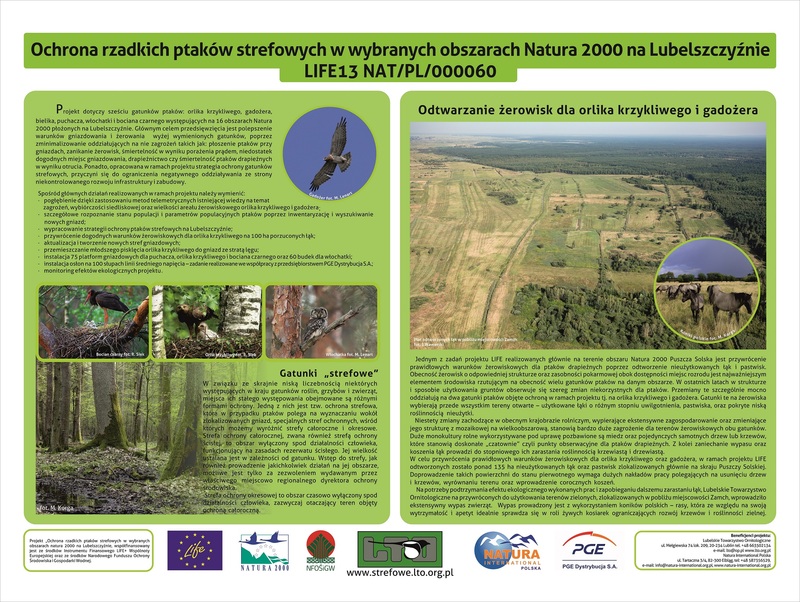 We hope that our reappearance in educational institutions located in the area covered by the project will result in the local student community will not perceive our activities as a one-time information campaign and will treat them as part of a comprehensive and long-term action to preserve local biodiversity - an action that participation in classes has already become a part and action, which through their attitude to nature in the future, may become one of the most valuable effects. 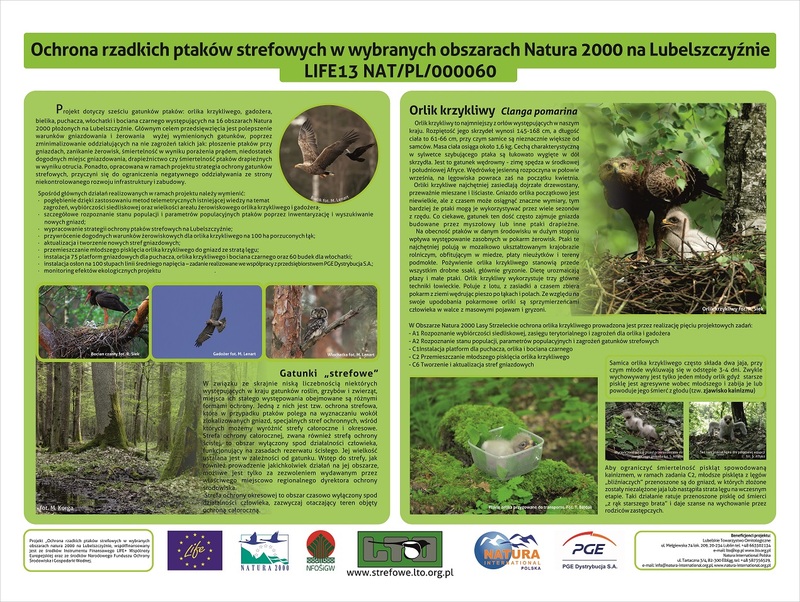 Another promotional and information material issued as part of the project implementation is a folder presenting the assumptions of the project implementation, species of birds protected as part of its implementation and a description of individual activities, both ongoing and already completed. The electronic version of the folder is available below, and printed copies can be obtained from the LIFE project office, located on ul. Mełgiewska 74 in Lublin. We encourage you to read. 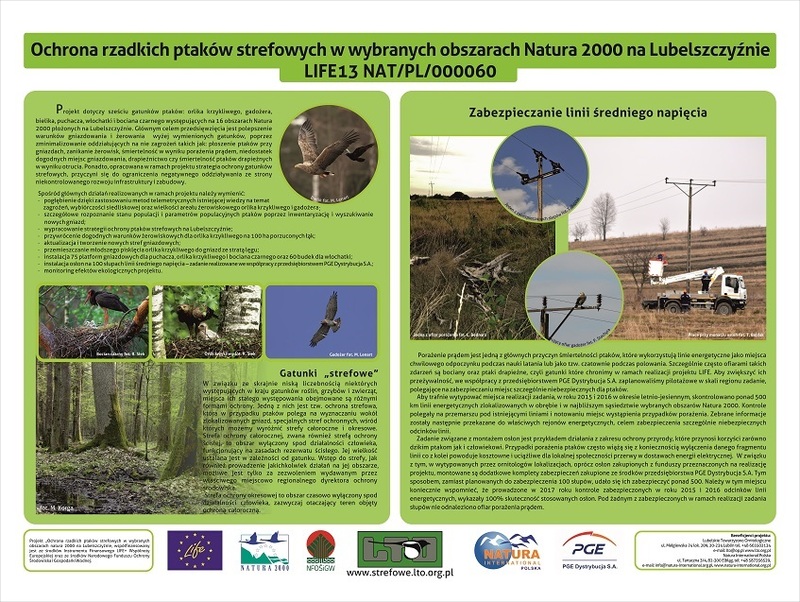 In the project we wish to familiarize inhabitants of project areas with silhouettes of protected birds. where we provide educational courses and on meetings with famers and hunters, to whom we shall present our activities soon. 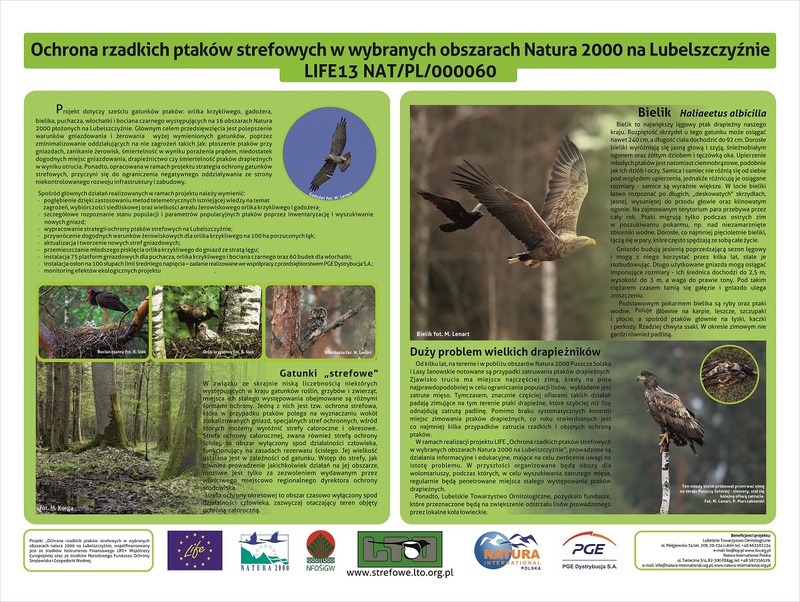 In addition, we have also prepared the thematic poster, drawing attention to the issue of placing poisoned carrion in Puszcza Solska forest, which in the winter turns into a deadly trap for birds. That visual aid shall help us reach hearts and minds of persons not aware of negative effects of their actions. A calendar for the year 2016 is available containing photographs of the species covered by the project. See what is available in the project promotion section.